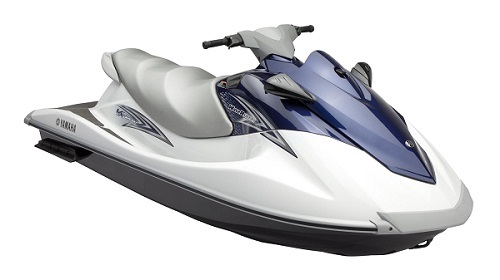 CA Power Toys provides Jet Ski rentals to the Sacramento area. Whether you are looking for a day on the lake or a trip to Powell, we provide powerful reliable Jet Skis. Get your Jet Ski Rental Today! The Yamaha VX 1100 Sport is a 3-Passenger Style Personal Watercraft “PWC”(Jet Ski) equipped with an 1052cc, Water (Open Loop) Cooled, Longitudinal In-Line, DOHC, 4-Stroke Engine. The Jet Ski has a 3-blade Stainless Steel impeller and puts out 110HP. The VX Sport has a Direct Drive Transmission. This VX Jet Ski weighs 703 lbs. and has a payload capacity of 529 lbs. Perfect for jet ski rental Sacramento. This is a fast machine and the perfect rental because of it’s reliability, ease of use and power. Accessories are available at checkout for an extra charge.